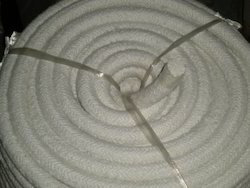 We are a leading Manufacturer of non asbestos tapes, non asbestos cloth, non asbestos rope, non asbestos hand gloves, non-asbestos webbing tape and non asbestos yarn from Ahmedabad, India. We are glad to offer 100% asbestos free Non Asbestos Tapes that offer low temperature resistance ranging to about 200 c. The resistance can go higher on special treatment. Our wide gamut of products also includes Asbestos Yarns, Asbestos Ropes and Asbestos Hand Gloves. The tapes are made using the superior-grade raw materials and under strict quality norms. 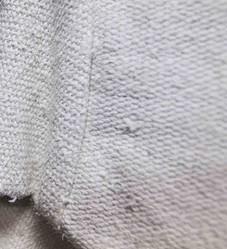 We are proud to introduce Non Asbestos Cloth from our wide range of products, such as Asbestos Yarns, Asbestos Ropes and Asbestos Hand Gloves. The product, which is 100% asbestos free, has a low temperature resistance ranging to about 200 c. It can even go higher on special treatment. Top-quality materials go into the making of these products, so that our prestigious clients get full satisfaction. The products are manufactured following strict quality controls. Non Asbestos Rope that has low temperature resistance up to nearly 200 c. The resistance can go higher on special treatment. Made using premium-grade raw materials, the products are manufactured following stringent quality norms. We are offering our esteemed clients Non Asbestos Hand Gloves that are completely asbestos free and have low temperature resistance ranging to nearly 200 c. The temperature resistance of this quality product can go higher on special treatment. Only the best-grade materials go into the making of these products. 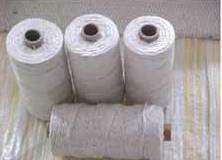 We also offer Asbestos Yarns, Asbestos Ropes and Asbestos Hand Gloves. 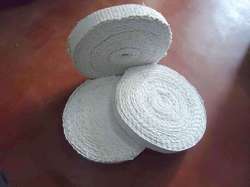 Avail from us a wide range of Non-Asbestos Webbing Tape in various sizes and specifications. The tape is widely used in various industrial purposes like coil winding, transformer core winding and armature winding. In compliance with set industrial standards, these are fabricated using superior quality material such as polypropylene, cotton, nylon and polyester. Available in various designs and colors, these are well known for durability and high tear strength. 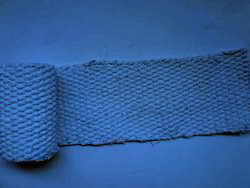 Asbestos webbing tape are efficacious for general steam glands insulation, hot blast, valves, boiler lagging & sealing of oven, blue cap doors, and furnace joints. We are now manufacturing and supplying Non Asbestos Yarn that is made from the top-grade raw materials. The 100% asbestos free product has low temperature resistance ranging to nearly 200 c that can go higher on special treatment. 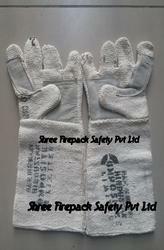 Our product range also consists of Asbestos Yarns, Asbestos Ropes and Asbestos Hand Gloves. All our products are made using strict quality norms.